If you love country, then we’ll bet you love Jason Aldean – so you’re in luck!! 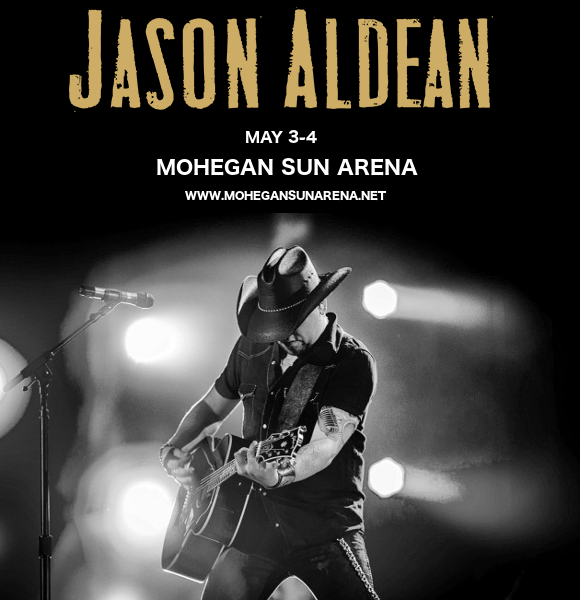 On his Ride All Night Tour with Kane Brown, the No.1 hitmaker will be performing his second night at the Mohegan Sun Arena, Uncasville on the Saturday 4th May 2019! It’s going to be a weekend you’ll never forget – tickets on sale now and selling out FAST, so don’t waste a moment – get yours while you can!! Jason Aldean is currently touring with his latest album, “Rearview Town”. Released in April last year, it shot to the top of the Billboard 200 chart, becoming his fourth album to top the charts in a row!! Today, it has sold over 400,000 copies, and it’s not hard to see why – the themes of the album are relatable to just about everyone. One of the better things ahead for you is this show – if you’re fast enough to get your tickets that is!! Do you have yours yet? ?